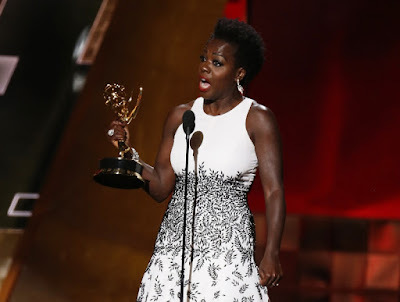 Viola Davis wins the Emmy for Outstanding Lead Actress in a Drama Series. Toastmasters International is a worldwide nonprofit educational organization that empowers individuals to become more effective communicators and leaders. Headquartered in Rancho Santa Margarita, Calif., the organization's membership exceeds 332,000 in more than 15,400 clubs in 135 countries. Since 1924, Toastmasters International has helped people from diverse backgrounds become more confident speakers, communicators and leaders. For information about local Toastmasters clubs, please visit www.toastmasters.org.